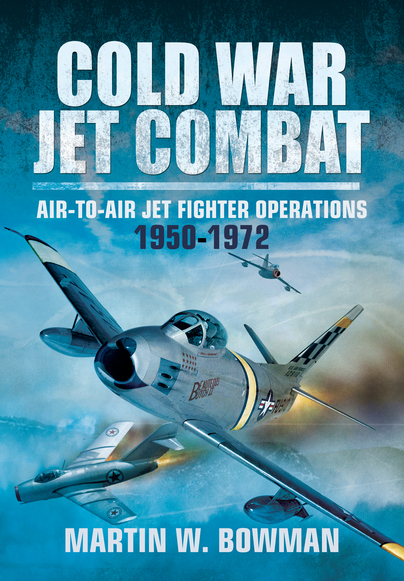 You'll be £25.00 closer to your next £10.00 credit when you purchase Cold War Jet Combat. What's this? Recounted here are nine of the earliest wars involving jet aircraft. From the Korean War and beyond, it comprises a wealth of gripping insight. Many of the jet-to-jet dogfights that spanned these jet-powered wars are enlivened to thrilling effect, including those engaged in during the two Indo-Pak Wars of 1965 and 1971. Operation ‘Musketeer’ (1956), mounted when RAF and French Air Force bombers and fighter-bombers attacked airfields and other targets in Egypt (after President Nasser had nationalised the Suez Canal), is also covered in this gripping narrative. The Falklands Campaign is also covered, as is the Vietnam War. In another chapter, QRA operations around the British Isles are put under the microscope as RAF Phantoms, Lightnings, Tornadoes and Typhoon Eurofighters on Quick Reaction Alert are described, patrolling international air space and maintaining a constant vigil as Soviet ‘Bears’ continued to test NATO defences. All in all, this is a compelling, well-researched and highly informative study of a particularly dynamic era in aviation history. Always a pleasure to review a book by this author, who is building a formidable portfolio of aviation titles. This book covers a period of aviation that has seen enormous changes but strangely been under-reported. Here is a book to correct this. Most Highly Recommended. Martin W Bowman is a prolific author of dozens of books about air warfare during the Second World War, especially about operations of the US Army Air Force and the Royal Air Force over Western and Central Europe. His work usually relies heavily on first-hand experiences of pilots and crew members to tell the story. While he is an author offering the ‘oral history’ type of narratives that are not always in 'perfect synchronisation' with various official-, or documentation-supported works, Bowman is excelling not only at providing enjoyable narratives, but foremost through providing the reader with an excellent perspective of what the air battles in question used to look like for those who participated. His books are always full of highly interesting details, and richly illustrated too. If one wants to know what was it to fly a B-17 over Nazi Germany, there is hardly another author to offer a better description.